Dr Mead was a celebrated physician, there is a bust of him in Westminster Abbey with an inscription. d.s.p. The eleventh child of Matthew Mead (1630– 1699), Independent divine, Richard was born at Stepney, London. He studied at Utrecht for three years under JG Graevius (Johann_Georg_Graevius). having decided to follow the medical profession, he then went to Leiden and attended the lectures of Paul Hermann and Archibald Pitcairne. In 1695 he graduated in philosophy and physic at Padua, and in 1696 he returned to London, entering at once on a successful practice. His Mechanical Account of Poisons appeared in 1702, and, in 1703, he was admitted to the Royal Society, to whose Transactions he contributed in that year a paper on the parasitic nature of scabies. In the same year, he was elected physician to St. Thomas' Hospital, and appointed to read anatomical lectures at the Surgeon's Hall. On the death of John Radcliffe (English_physician) in 1714, Mead became the recognized head of his profession; he attended Queen Anne_of_Great_Britain on her deathbed, and in 1727 was appointed physician to George II, having previously served him in that capacity when he was prince of Wales. While in the service of the king, Mead got involved in the creation of a new charity, the Foundling Hospital, both as a founding governor and as an advisor on all things medical. The Foundling Hospital was a home for abandoned children rather than a medical hospital, but it is said that through Dr. Mead's involvement, the Foundling was equipped with both a sick room and a pharmacy. He is even supposed to have influenced the architect, Theodore Jacobsen, into incorporating a large court yard to promote the children exercising. 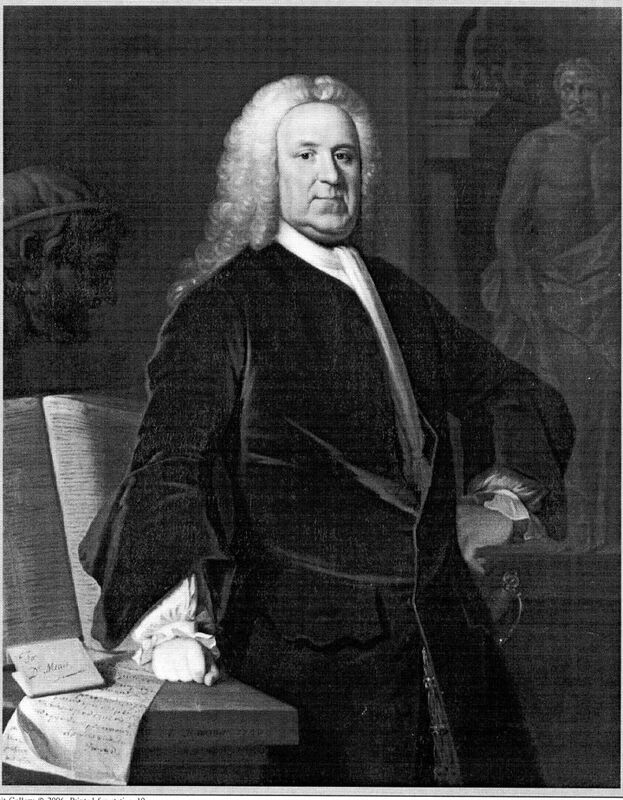 A full size portrait of Dr. Mead, donated by the artist Allan_Ramsay_(1713-1784) in 1747, ensures that his contribution will not be forgotten. The painting currently hangs at the Foundling Museum. Dr Richard Mead was also a Fellow of the Royal Society and a Freemason (although it is not known to which lodge he belonged). Mead's country estate was at Old Windsor in Berkshire, but he died at his house in Bloomsbury in 1754. It later formed the basis of Great Ormond Street Hospital. Mead's first wife had died in February 1719. She was Ruth daughter of John Marsh, a merchant of London; was married in July 1699, and bore eight children, of whom four died in infancy, while three daughters and one son survived her. On 14 Aug. 1724 Mead married Anne, daughter of Sir Rowland Alston of Odell, Bedfordshire. She bore him no children. He was born on 11 August 1673, the eleventh child of Matthew Mead (1630?-99), minister of Stepney in London, and grandchild of Richard Mead of Mursley in the county of Buckinghamshire. Educated at the university of Utrecht (as was his brother Samuel) he started his medical practice in London in 1696 and became a fashionable doctor attending Queen Anne, George II and Sir Isaac Newton. He married Ruth, daughter of John Marsh, in 1699 and had ten children before her death in 1719, several of whom died young. Richard married Anne Gore but he had no heir. His other son John died in 1721. The daughters were Sarah who married Edward Wilmot, Bathsheba who married Charles Bertie and Elizabeth who married Frank Nicholls. By his second wife Anne, daughter of Sir Rowland Alston, he had no children. The monument was erected by his son Richard and shows Mead's crest (an eagle displayed) and coat of arms (a chevron between three pelicans) together with those of his two wives. Richard Mead is buried in the Temple Church, but his bust also is in the nave. He was the first of that succession of eminent physicans who have been (from this example) sent forth from the homes of nonconformist ministers. His noble conduct in refusing to prescribe for Sir R. Walpole till Freind was released from the Tower, and in repaying him all the fees of his ; his fiery encounter with their joint adversary, Woodward, in the courts of Gresham College ; his large and liberal patronage of arts and sciences give a peculiar charm to the good physician who lived more in the broad sunshine of life than almost any man." (See Boswell's Johnson IV. 222). Stanley's Hist. Memorials of Westminster Abbey, 1882, Lond., p. 296.